The New Horizons spacecraft, which launched in 2006, will be the first man-made object to pass by and collect information on Pluto when it arrives at the dwarf planet on July 14, 2015. Our friends at Wired are celebrating the one-year pre-anniversary of NASA's New Horizons spacecraft flying by Pluto. 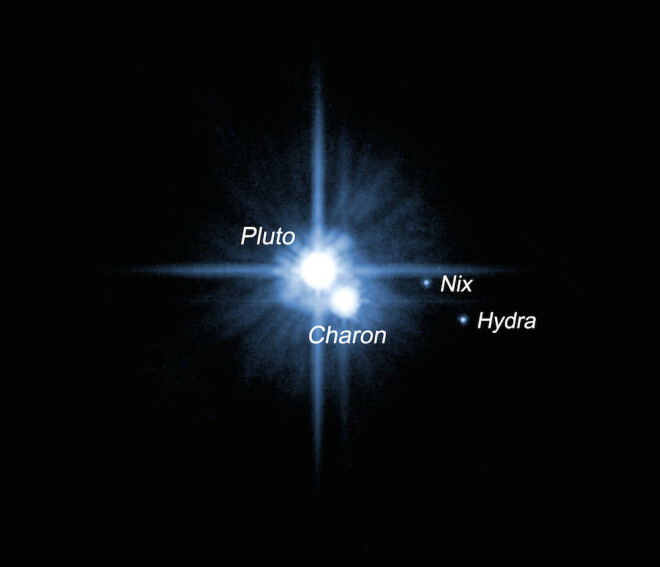 Launched in 2006, New Horizons will be the first man-made object to reach the dwarf planet and is expected to provide scientists with all sorts of revelatory information, most notably what the thing actually looks like (Wired notes that this is the best image we have of Pluto and its large moon Charon). In January, New Horizons will pass a point where the quality of images taken by its instruments will surpass that of Hubble's. Even though scientists have known about Pluto's existence since before 1930 (when it was discovered by Clayton Kershaw's great uncle! ), we still know relatively little about the dwarf planet. The Wired profile ably sums up the breadth of our knowledge: we know its size, its surface temperature, that it spins on its axis much like Uranus, that it has at least 5 satellites, and that it's not really a planet after it got demoted to dwarf planet status in 2006. Scientists expect that New Horizons will reveal many surprises -- perhaps more moons, maybe a ring of dust, or even geological formations that will pass along clues about its origins.